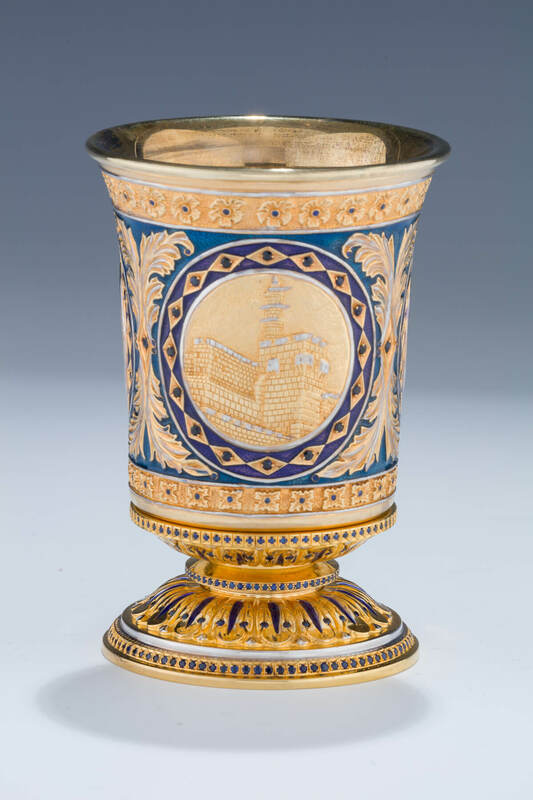 A SILVER AND ENAMEL KIDDUSH GOBLET BY YAAKOV DAVIDOFF. Israel, c. 2000. On round decorated base. Hand engraved with Holy Land scenes and blue enamel. Fitted with cut colored stones. 4.3” tall.